The need for maximizing the talents of people has never been stronger. Yet, understanding what it takes to leverage the strengths of people is still not a common practice. 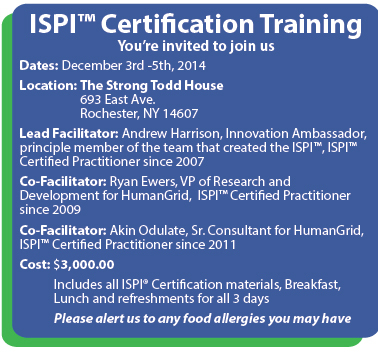 Becoming certified in the ISPI™ (Innovation Strengths Preference Indicator™) is a key step in boosting the productivity, performance and output of your organization and your people. Those Certified in the ISPI™ will be able to provide feedback and coaching to ISPI™ individuals and groups. 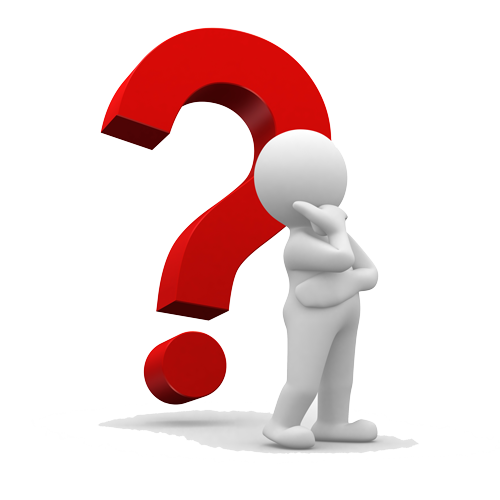 They will also be able to analyze and interpret ISPI™ data when forming teams or analyzing teams. 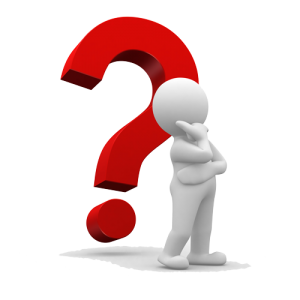 They will also be able to look at cumulative ISPI™ data of a team, department or organization and interpret different cultural characteristics of the group. Depending on what you are looking to do with the ISPI™, there can be many organizational-specific benefits to Certification in the ISPI™. Becoming certified in the ISPI™ is a three-day process. 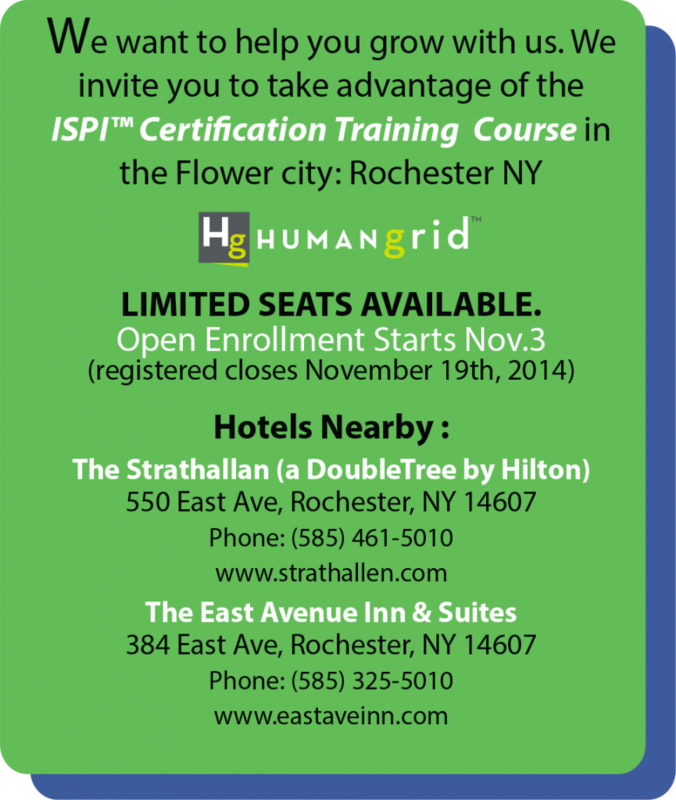 ISPI™ Certification can take place via an open enrollment program or on-site specifically for your organization. Inc.,NASA, U.S. Office of the Secretary of Defense, Arch Coal, Daymon Worldwide, U.S. Army (ARDEC) and Association of American Medical Colleges. 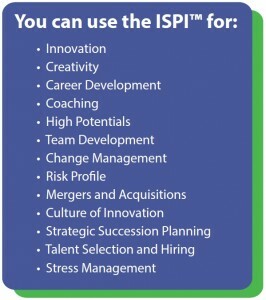 The ISPI® is used by the Center for Creative Leadership (CCL) in their innovation programs.